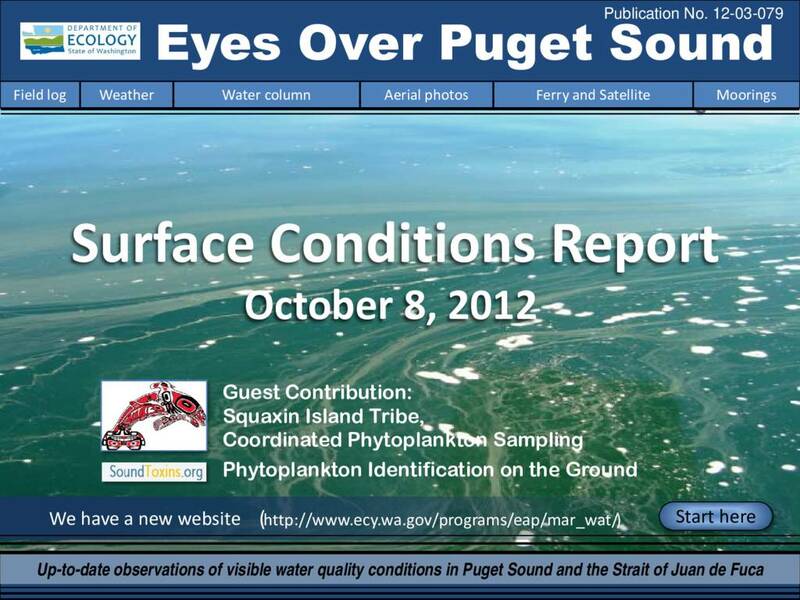 Description Low to moderate fluorescence in northern Puget Sound. Red-brown blooms, and large jellyfish aggregations in the inlets of South and Central Sound. Dry weather and decreased thickness of the freshwater layer in Possession Sound.